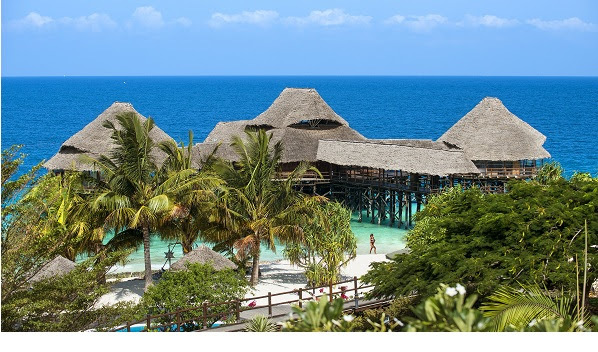 World Travel Awards (WTA) has revealed Diamonds La Gemma dell’Est, Zanzibar, Tanzania, has been selected to host the Africa & India Ocean Gala Ceremony 2016. Set to take place on Saturday, April 9th, 2016, the dazzling red-carpet ceremony will welcome hospitality leaders and luminaries from across the regions. Diamonds La Gemma dell’Est, located on the north-western shores of magical Zanzibar, is set within stupendous exotic tropical gardens. The enchanting, luxurious and environmentally friendly resort has a total of 138 rooms, all with a private terrace and the majority with sea views. WTA president Graham Cooke said: “Our Africa & Indian Ocean Gala Ceremony will be the first stage on our 2016 Grand Tour and it will be a pleasure to visit Zanzibar, Tanzania, for the first time. “Zanzibar is famed and predominantly seen as a beach destination - with crystal clear warm cobalt-blue seas all year round and pure white sandy beaches. However, there’s far more to offer the discerning traveller. “From diving, snorkelling, kite surfing, deep sea fishing and many other aquatic experiences, as well as the often forgotten cultural experiences on offer. Commenting on the decision Andrew Cook, general manager, Diamonds La Gemma dell’Est said: “Hosting the WTA Africa & Indian Ocean Gala Ceremony 2016 at Diamonds La Gemma dell’Est in Zanzibar is one of the proudest moments in the resort’s history. “It is also an opportunity and endorsement for all in Zanzibar to showcase our offerings and reaffirm our country as a fast developing tourism destination in the world. Diamonds resorts but also with our authentic cultural interactions with the warm and vibrant local ethnic communities. Diamonds La Gemma dell’Est is part of the Planhotel Hospitality Group. Founded in 1997 in Lugano, the group has been operating in the tourism sector for over 18 years as a leading hotel management company for resorts and hotels in the Indian Ocean. Planhotel is renowned worldwide for its unique combination of local tradition and Italian style in both its design and guest services, without forgetting its exemplary all inclusive formula. WTA Gala Ceremonies are widely regarded as the best networking opportunities in the travel industry, attended by government and industry leaders, luminaries, and international print and broadcast media.